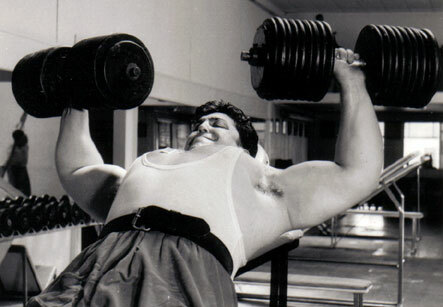 – Some people say “high reps for cutting” and “low reps for bulking”. – Some say “go heavy or go home” and recommend super heavy weights for low reps.
– Others like to train a bit lighter and “pump it up” and strive to keep the muscles under tension for longer periods of time. Well, there is no cut and dried answer to this, in fact you can literally make muscle gains training in all of the above rep ranges provided that you are putting enough demands on the muscle, training in a progressive fashion, and that your nutrition and recovery are adequate to support muscle growth. But there are some general guidelines that you can follow to help you better structure your bodybuilding workouts and maximize your muscle growth. And that’s what I’m going to share with you here in this article. Rather than randomly selecting some magic number as your rep range for all your workouts, you need to break things down and get more specific. 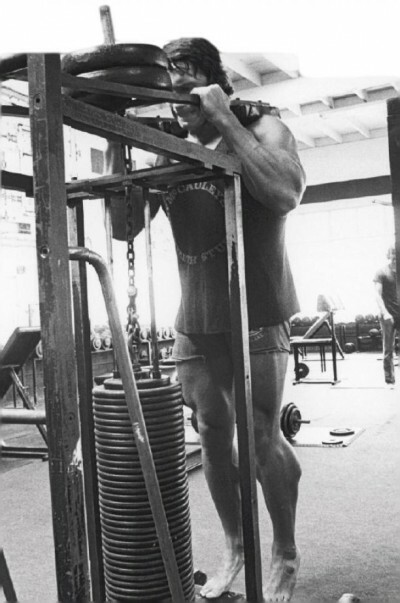 There is really no such a thing as the one best rep range that works for all exercises. 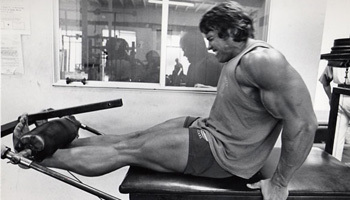 How many reps you do will vary greatly depending on the particular exercise you are doing. For example, if you were doing deadlifts and then afterwards going to do abdominal crunches. Do you think that you would use the same set and rep pattern for both exercises? Of course NOT. One is a heavy mass building power move, and the other is a small isolation exercise. They both work the muscles totally differently, so obviously you wouldn’t train these 2 exercises the same way and use the same set and rep patterns. 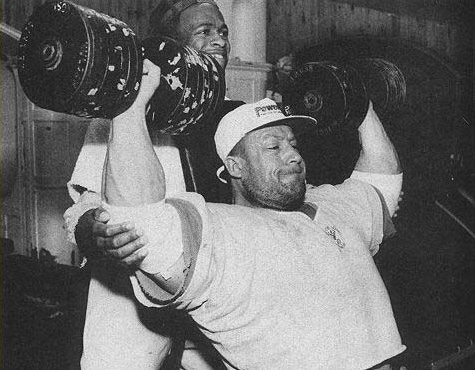 Certain exercises are classified as Heavy Mass Building Power Moves and they work better for heavy weights and low reps. These are the “meat and potatoes” exercises that should lay the foundation to your muscle building workouts. Than you have Mid-Range Power Moves that are still basic compound lifts, but these exercises are better worked with higher reps compared to the Heavy Mass Builders. And finally you have Isolation Moves that are used for targeting specific areas of the muscles. These exercises work better with higher repetitions, lighter weights, and very strict form. 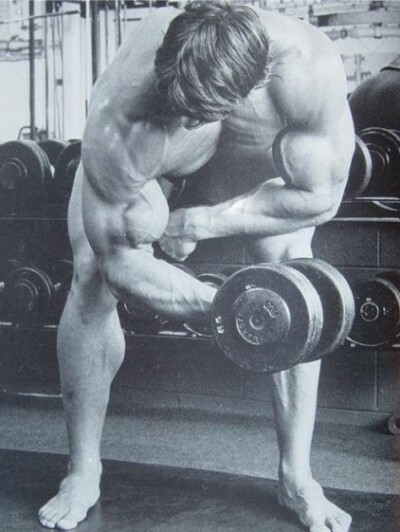 Generally with the heavy power moves your main focus is on moving the weight. With these exercises you should strive to increase the weights you lift on a regular basis (provided you can maintain good form of course). 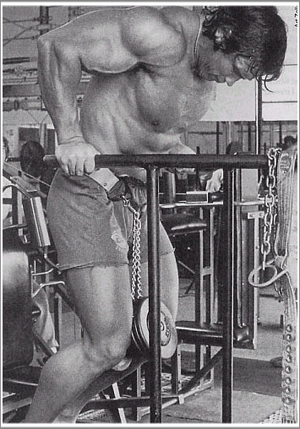 Than as you get into the mid-range and isolation moves your main focus should be on feeling the muscles working and getting a good pump. 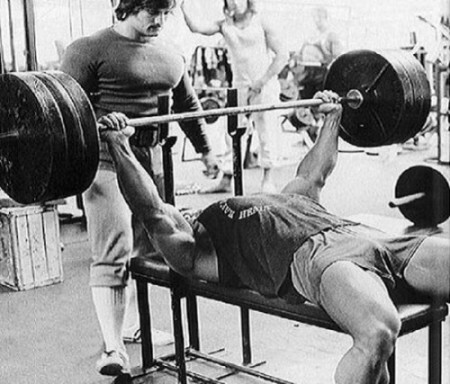 Rather than simply trying to increase the weights you are lifting. 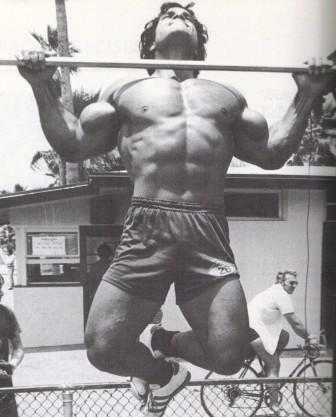 These are big basic free weight exercises that allow heavy weights to be lifted for low reps. The classic 5 sets of 5 reps routine works really well for these exercises. 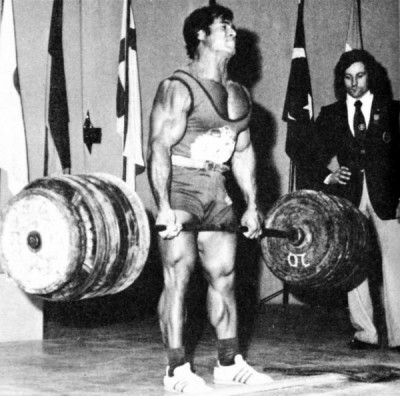 And advanced powerlifters and strongman competitors will even work up to heavier weights by doing heavy triples, doubles, and even single rep sets for these basic powerlifts. These are mid-range compound exercises that still allow for heavy weights to be lifted, but work better with moderate repetition range of 6-10 reps per set. These mid-range exercises will make up the majority of your muscle building workout program. These are isolation exercises that work best when trained with light to moderate weights and high repetitions. Ideally you would use these exercises as finishing moves and do them at the end of your workouts. The idea here is to really pump up the muscles after you’ve already completed your heavier power moves. Keep your reps for these exercises to 10-15 per set, and in some cases you can even perform higher reps (i.e. 20+ reps per set) especially with abs and calves. These exercises and rep ranges are applicable to most weight training workout programs. However, there will always be exceptions to these rules depending on the particular training program. 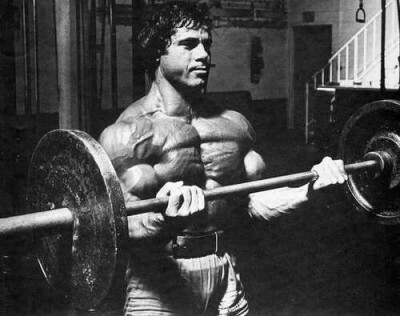 For example, the classic 20 rep squat routine is one such example of using a heavy mass building power move for high reps. And there will be other times when you may train isolation exercises with heavier weights and lower reps, especially if you are following a body part specialization program such as Blast Your Biceps. Structuring an effective and well balanced weight training program with the proper exercises, sets, and reps is NOT an easy task. And to make things even more challenging, regardless of which program you follow (even if it’s a very good one) your body will eventually plateau to that program and your gains will come to a screeching halt. The secret to building muscle is a non stop process of starting a “new workout program” and adapting, growing, and plateauing to that workout program – then repeating the process all over again. You adapt, grow, plateau, change your approach, and repeat. Every single successful bodybuilder on the planet has gone through their own unique variation of this process. Now you can try and figure this all out for yourself through tedious trial and error. But if you would like some help with the process of stacking complementary workout programs back to back for consistent muscle building progress I suggest you join the Total Fitness Bodybuilding “Inner Circle” Coaching Club. Because as a member of the “Inner Circle” you’ll get a Brand New Workout every single month! This takes all the confusion and guess work out of selecting new training programs to follow because each month you’ll get a new program that is specifically designed to build on the progress that you made from the previous months program. This allows you to make steady gains in muscle and strength month after month. The video is quite useful. I can show this to my wife to start getting back in shape. 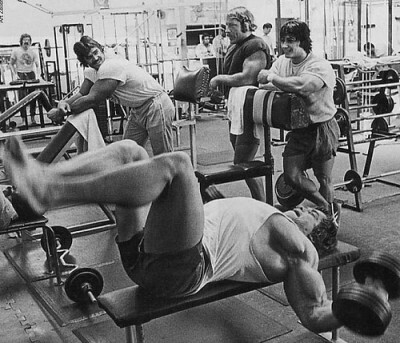 Love these old-time bodybuilding images, especially in black and white. great post..This is what i was looking for thank you for sharing this amazing post. Great article! 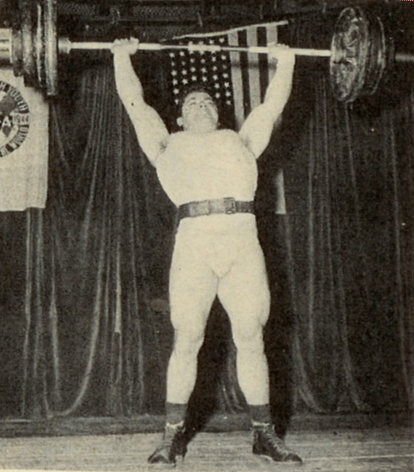 old-time bodybuilding images are Great!